Having won the Heineken Cup as captain of Northmapton Saints 13 years ago, Pat Lam is now excited to be coaching Connacht in the tournament. Connacht’s third foray into Heineken Cup Rugby will see French giants Toulouse return to the Galway Sportsground next season. Connacht have been drawn in pool three with Toulouse, English premiership side Saracens, and also familiar RaboDirect Pro 12 opponents, Italian side Zebre. With the three fellow Irish clubs all in tier one, Connacht were poised to draw Clermont, champions Toulon, or Toulouse. In steering clear of Clermont in pool 4, they also avoided meeting Conor O’Shea’s Harlequins again, but for a second successive year they will face Zebre. Connacht will relish another crack at the three-times cup winners Toulouse, coached by the legendary Guy Noves. Their arrival in the Galway Sportsground two seasons ago was a huge occasion for the province in their first Heineken Cup. But, in front of more than 9,000 supporters, Connacht players always felt they had failed to do justice to themselves, losing 36-10. In welcoming tier-two team and former English champions Saracens to Galway for the first time, they face another formidable opponent. The London-based outfit was premiership semi-finalists last season, having finished first in the league table. The two sides have not met before in a competitive fixture, but played each other in a pre-season friendly in 2010, with Connacht losing 28-8 at the HAC Grounds in London. Italian outfit Zebre will represent Conncht’s best hopes of a pool victory, having beaten them in last year’s pool fixtures 10-19 away and 25-20 at home. However, with the Italian side continuing to improve, Connacht will not be taking these fixtures for granted. 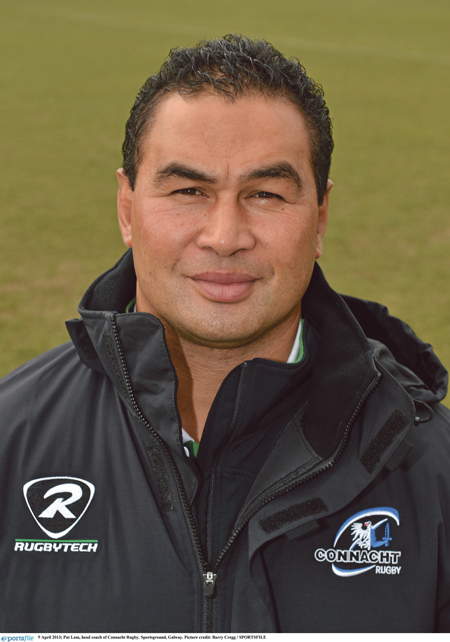 Connacht coach Pat Lam is excited at his first opportunity to coach a side in the tournament. Watching the draw from his desk at the Connacht Branch office, Lam said to be a part of the competition was massive. “When I saw all the names of the teams at the start of the draw and that Connacht is a part of it, well it is exciting. It didn’t really matter to me what teams we were drawn against, but we have two big-name teams in Toulouse and Saracens - a former winner and a strong English club - and Zebre who we know from the Pro 12. Having lifted the trophy as captain of Northampton Saints in 1999/2000, Lam said it would have been nice to have been drawn with his former club. Pool 1: Leinster (Pro 12 and Amlin Cup champions ), Northampton, Ospreys, Castre (French champions ). Pool 2, Toulon (champions ), Cardiff, Glasgow, Exeter. Pool 3, Toulouse, Saracens, Connacht Rugby, Zebre. Pool 4, Clermont (last season’s beaten finalists ), Harlequins, Scarlets, Racing Metro. Pool 5, Ulster, Leicester Tigers (English champions ), Montpellier, Treviso.